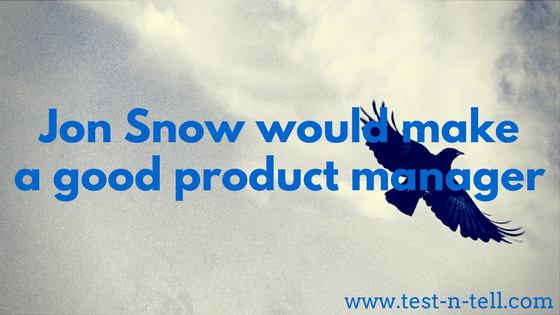 "You know nothing" is the most helpful product mantra told to yourself. It usually leads to research, invention and useful product. Don't like pop culture terms? Ok, take Latin term "ignoramus." Literally, "we do not know". It is used by scientists around the world not to forget how limited our understanding is or ever will be. To not fall into: "it's obvious" trap. Or "it's common sense" or "it's always been like that". Those are the most dangerous enemies of any creative process. In Product, those lead to subpar solutions that don't satisfy customers and don't bring profits to businesses. When you are a young professional, saying "I don't know" is challenging, not comfortable and plain scary. You've been hired to know stuff, right? The more you know - the higher you'd be, right? CEO knows the most then? Why then good leaders are so comfortable saying "I don't know"? Because they know "Knowing" is not the value. 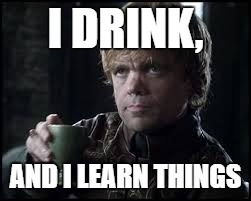 Learning is. Young me thought the value is in being able to answer any question. This misbelief partly comes from a school where we've been asked to memorise facts. The more facts you remember - the higher your marks. Dates, formulas, equations. Knowing = success. Somewhere down the education line, the "knowing" should have changed to learning approach. The success comes not from remembering facts but from effective learning and establishing those facts. Unfortunately, a lot of people missed that switch. I most certainly did. Starting my career, I was extremely uncomfortable when I couldn't answer a question or didn't know how to do something. Things changed for me when I took on my first PM role. At the time, we had plenty of theoretical information about product management. But this theory was hardly applicable to an individual environment. So instead of books, I started to observe my senior colleagues. What they did and how it turned out. I noticed the best outcomes came from people who didn't pretend they know everything. But from those who were saying "I don't know" a lot and then they were going, finding out, coming back and doing what's right. Since then I see that Learning approach never fails its followers. It might feel slower than "knowing", but most certainly would lead to better outcomes.